An exhilarating match followed by an exhilarating shootout. Despite playing with 10 men from the 33rd minute, Holland dominated the match and failed to convert two penalties in normal time. 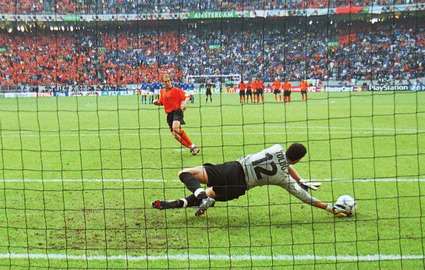 In the shootout Francesco Toldo was the hero as he made three saves (to add to the penalty save he had made in the match itself). The Germans don’t lose too many penalty shootouts, so it usually takes something pretty impressive to beat them. In this case it was an uncharacteristic miss from Uli Hoeness followed by Antonin Panenka’s invention of the chipped penalty. It was the inevitable finale to a gripping match between the old foes. All 10 of the opening penalties were converted before Gareth Southgate trudged forward to place his penalty just left of centre, in easy reach of Andreas Kopke. Cue Andy Moller to smash his penalty home convincingly and strut around Wembley like Mick Jagger. The tournament itself was a lot shorter in those days, but the third-place playoff went the full distance. The Czechs converted nine consecutive penalties to prove most of their team were capable from 12 yards. Defender Fulvio Collovati was Italy’s fall guy as he missed their ninth penalty. It tells you everything you need to know that the ball used by David Beckham for England’s opening penalty later found its way onto eBay, presumably the seller was set in approximately row T. The infamous boggy penalty spot got the better of Becks and Darius Vassell, while the Portuguese – including keeper Ricardo, who scored the winner – seemed to have less trouble. In retrospect, everybody should have known Denmark’s name was on the trophy by this point. 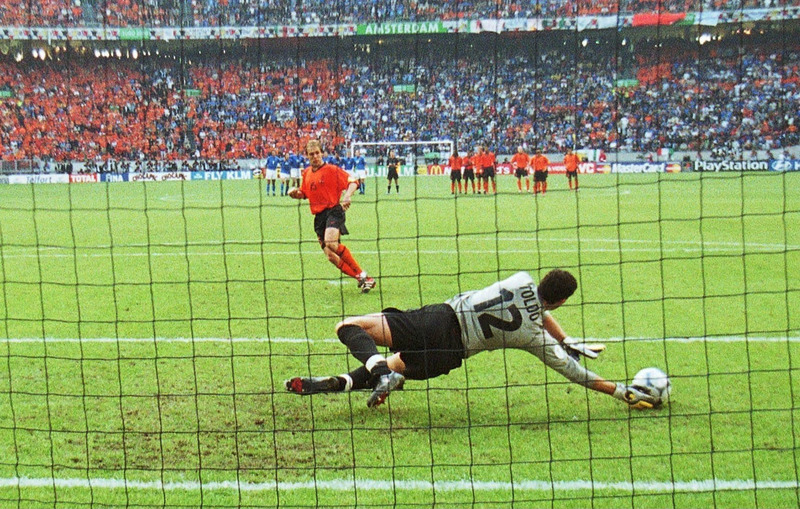 An uncharacteristic penalty miss from Marco van Basten and a perfect five from the Danes secured victory in this semi-final.